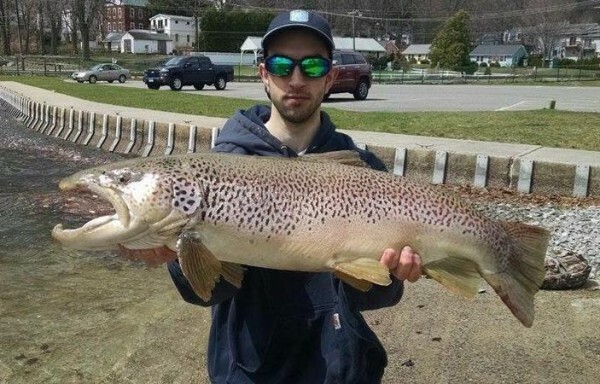 TrophyTroutGuide.com - Brown Trout/This big hookjaw from CT. was caught on a spinner bait while he was casting for bass....he released it! Congrats man! This big hookjaw from CT. was caught on a spinner bait while he was casting for bass....he released it! Congrats man!